These two strawberries are the 4th and 5th strawberries ever to be produced by my lovely (and very productive!) 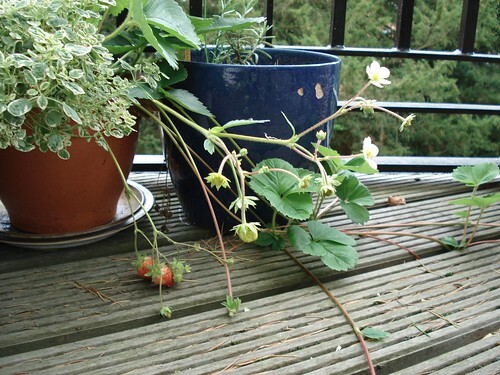 strawberry plant! I got it in May and it gave me two tiny strawberries then; when I had lost all hope, I find it’s been busy trying to please me! And it has – I’m so very happy! Maybe I’ll go crazy and have strawberries with scones tomorrow!